SME and General Motors, working with Michael Grieves with the Florida Institute of Technology are developing a web-based evaluation system to aid manufacturers in making better decisions in additive manufacturing, also known and 3D printing. While additive manufacturing has grown in use and capabilities over the last 25 years, manufacturers do not always have the in-house knowledge and expertise to determine the best way or whether they even should additively manufacture parts, risking valuable time and resources on trial and error in the manufacturing process. 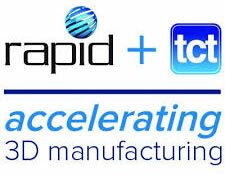 This partnership of companies makes up the Independent Technical Evaluation of Additive Manufacturing (ITEAM), which will provide manufacturers with an expert system that compares and calculates the best machine, material and process for a particular application. The system also offers an additive manufacturing community section, where users can share experiences and feedback on equipment, materials and techniques and create specialized apps. "One of the keys to determining whether 3D printing is a game changer will be the ability to totally redesign a part, or merge an assembly of parts and make the additive part a reality in production," said Susan Smyth, GM chief scientist for manufacturing and 2017 SME Board of Directors secretary. "The challenge from the automotive community is the need for hardware, material innovation and availability of design tools to reinvent parts and morph assemblies for applications above and beyond prototype." ITEAM will provide a virtual repository of additive manufacturing machine and material capabilities and an open platform and evaluation tools to enable users to determine their parts' suitability to be manufactured additively against the repository of machines and materials. ITEAM will also be a center and clearinghouse for design for additive manufacturing research, methodology, qualification and advancements. Founding members of the ITEAM consortium will invite users to join, share their information with the initiative and be first to know about beta versions of the system. "We regularly hear from our additive manufacturing user community on how emerging 3D technologies are allowing them to increase speed to market, produce stronger and lighter parts, improve efficiency, reduce waste, eliminate costly tooling and create products and geometries that couldn't be created before," said Debbie Holton, vice president of Events and Industry Strategy at SME. The methodology, called SAM-CT (size, accuracy and materials + economic evaluation of cost and throughput), is under development. It addresses if something "can" and "should" be produced by additive manufacturing — or if better methods exist based on cost and throughput. "The information about additive machines and material capabilities that users need to make quality decisions is fragmented and expensive," said Grieves, PhD, executive director, Center for Advanced Manufacturing and Innovative Design at the Florida Institute of Technology. "This new future requires accurate, reliable and current information so users can make the best technical and economic decisions as to additive equipment and materials. SME is stepping up to the challenge of providing this capability with ITEAM." More information, and the opportunity to ask questions or get involved, can be found at sme.org/ITEAM. Michael Grieves is a world-renowned expert on Product Lifecycle Management (PLM) and virtual-to-physical product engineering and manufacturing. Grieves is the author of the seminal books on PLM and the originator of the Digital Twin concept. He is the executive director of Florida Tech's Center for Advanced Manufacturing and Innovative Design (CAMID) and a University Research Professor. Grieves has over 40 years technical, executive and board experience in the information technology, manufacturing, and sports industries.